Well done, Harsh. The lines in the water are great. Have never seen Marine drive like this! Beautiful reflection lines..!! You are right - i have not seen marine drive like this..!! Lovely evening shot Harsh ! Fantastic lines to those reflections - gorgeous. 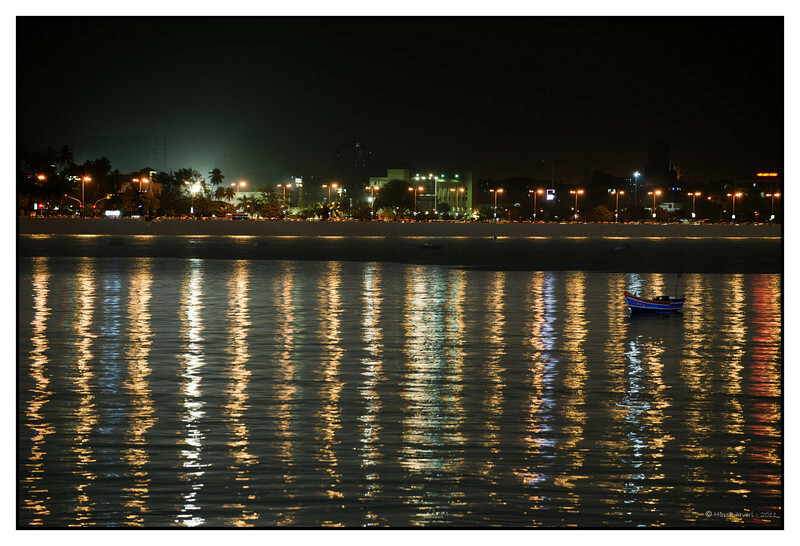 Beautiful night scene; the reflections of the lights in the water are wonderful and it is great that you were able to capture the boat in the frame, as well.